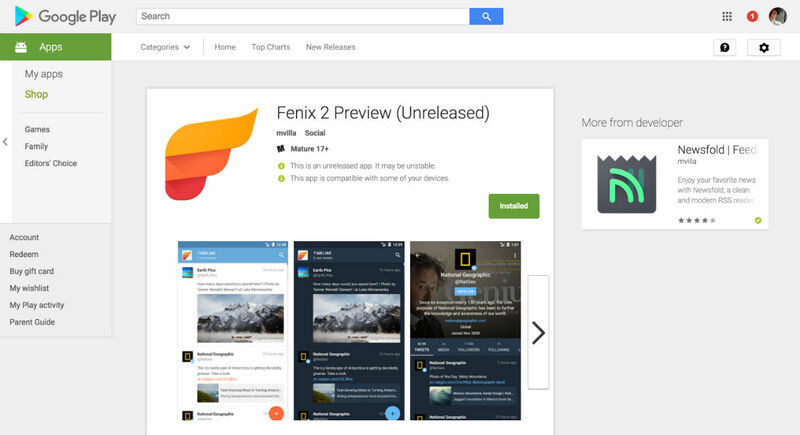 Fenix, the 3rd-party Twitter application that saw a whole lotta love from the Android community back in the day, is making a comeback on Google Play! This time, though, as Fenix 2. From my brief time with it, I can assure you that the app does work, but is lacking that polish you’d expect from a finished application. For now, it’s a very straightforward and Plain Jane experience. You can access your Timeline, Messages, and Activity, as well as customize the overall Appearance of the app. 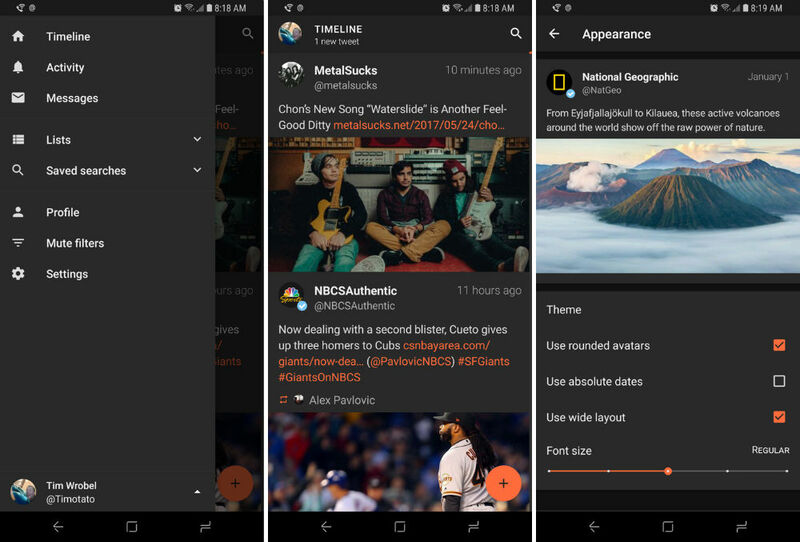 This means that while you can change up the look more than the native Twitter app, you won’t find Moments or things of that nature. On the upside, you will find support for multiple accounts, an updated icon that looks great, as well as a comprehensive Mute system for annoying users. According to the developer, this preview build will also be your only way to test the app while it’s free. As stated on Twitter, the final 2.0 build will be a paid upgrade for all users, but we don’t have details yet on pricing. To start using this unreleased build, you will simply head to Google Play following the link below, enter into the test, then download the app to your phone. Once downloaded, start using, then provide feedback if you want directly to the developer. Who knows, maybe your ideas can help shape what’s to come. For now, I’m sticking to the stock Twitter app, though. I do like my Moments a bit too much.